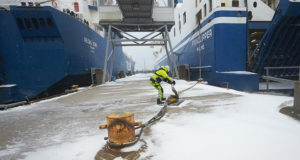 Like the Roald Amundsen, its sister ship the Fridtjof Nansen has been delayed due to problems at the yard. 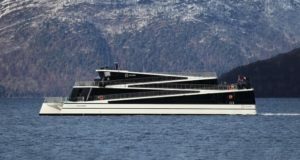 Norwegian ferry and cruise line Hurtigruten has revealed that construction of the second of its advanced new hybrid battery-powered expedition ships, the Fridtjof Nansen, has been delayed, Cruise Industry News reports. 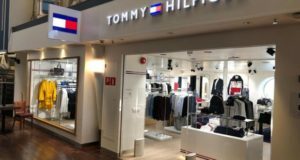 The news comes several months after revelations that its sister ship, the Roald Amundsen, was also delayed, due to financial problems at the Kleven shipyard in Norway where both vessels are being built. 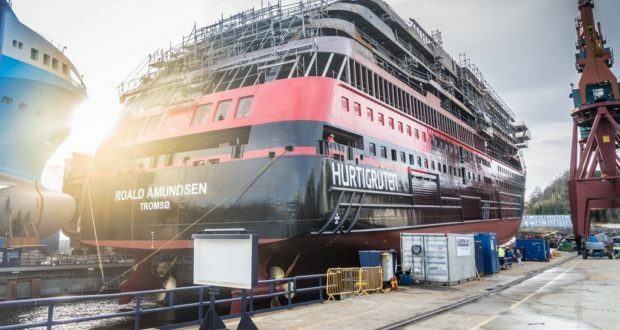 “Earlier this year, the yard informed us that due to the complexity of the construction of the Roald Amundsen, they will not be able to deliver the ship as scheduled,” Hurtigruten says in a letter to travel agents and guests. 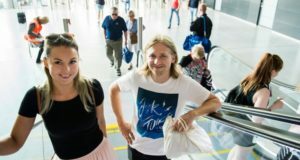 Hurtigruten is now having to give full refunds, including any of the passengers’ flight cancellation costs. Roald Amundsen’s first voyage is now set for May 3, 2019, an eight-month delay. A new date for the Fridtjof Nansen has not been scheduled. 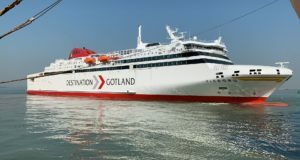 In related news, Hurtigruten has agreed with the Fosen Yard in Norway to overhaul two ships, the Richard With and the Nordlys. Both ships will get a complete refurbishment of cabins and public areas, to take place from November until the middle of next year. 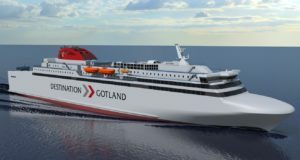 Later, both ships will be rebuilt for hybrid LNG and battery power, work that is due to be completed before 2021.